During the past 5 years, I've been quietly testing, tweaking, and fine-tuning some of the most profitable MetaStock formulas available. I've used these formulas to design trading systems that return anywhere from 10% to 200% p.a. Monday 9.20pm - Melbourne, Australia. Did you know I’ve been coaching, coding and writing about MetaStock for 10 years now? It makes my head spin just thinking about it. It's no secret that, through my own research and by working with hundreds of coaching clients, I've been privy to some amazing indicators, expert advisors, explorers and trading systems. The real secret is that, over the years, I've been quietly collecting every piece of formula I could get my hands - in fact, I've now collected over 1086 formulas! As you could imagine, with so many formulas, I needed a way to store and organise them all - using MetaStock just wasn't going to cut it. Finally, there’s a solution to backup, search, sort and managing your formulas, external to MetaStock. Organize your MetaStock formulas like never before – find what you want, when you want it! Help you build profitable trading systems. With over 1086 formulas you're sure to find the code you're looking for - never again agonize over coding errors - simply copy what already works! Speed up MetaStock by storing formulas external to Metastock. Have you ever noticed the more formulas you load into MetaStock the slower it runs? Not any more! Backup your valuable MetaStock formulas, avoiding the possibility of MetaStock crashing and losing all your profitable formulas. Increase the value of your investment in MetaStock by using Metastock's most powerful component, its flexible formula language. Most people never use MetaStock to it's full potential simply because they don't have their own profitable formula collection - you can use this as your trading edge! Here's a sneak peak at the MetaStock Formula Center 3.0 dashboard. 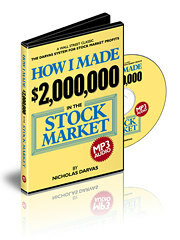 Is This The Biggest, Most Profitable, Collection of MetaStock Money Making Formulas Available? To be clear, some of the formulas I’ve collected are pretty average. There are others that have fantastic potential. And then there's some that are as good as gold! You just need to sort the diamonds from the rough. With this collection of formulas, it’ll be like you’re sitting at my personal computer with complete unrestricted access to my entire MetaStock formula library. Can you imagine it? You'll get my entire life's work. And don't forget there's 1000+ more! It's official, you'll have the largest collection of MetaStock formula in existence. 830 Indicators ready for you to cut and paste. 120 Explorations to utilise MetaStock's most powerful tool. 26 Expert Advisors perfect to use, edit or model. 110 Systems ready to start testing. Click here to download all 1086 formulas! Order now and receive an additional 3 bonuses. I've just completed some new training videos that will not only show you how to get the most out of the MetaStock Formula Center 3.0 but also how to get the most out your trading systems. Watch me live as I reveal some trading tips and trick that I'm sure you didn't even know existed. Note: These videos aren't availiable anywhere else - they're exclusively for MetaStock Formula Center 3.0 owners. 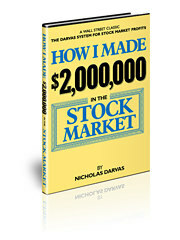 Have you read the story of Nicholas Darvas and how he made 2 million dollars in the stock market? I have spent hours studying this story and to this day I still trade using this system. You will receive both the original manuscript and MP3 audios. This product is sold on another website for $37 (www.darvassecrets.com), but you will get it as a free bonus. Brian McAboy and I recorded a discussion we had on designing entry systems. We chatting exclusively on how we design profitable entry signals, including rules of thumb anyone can follow guaranteed to improve your trading success. We even revealed our own personal entry systems! Perhaps you're thinking the price is going to be really expensive. The fact is, I have already paid to get this software made. I needed it for myself and I’ve already loaded it up with my most profitable formulas. So, when you think about it, it’s not really going to cost any more to let you download a copy. You can download your copy right now for only $147USD. That’s cheaper than the brokerage on half a month's trading. But Is The MFC3.0 Really That Good? "MetaStock Formula Center is the 'one stop shopping' answer for non-technical traders." - Francis X. Werzinger Jr.
And If That Wasn't Enough? Here's My Guarantee. Let me send you the entire MetaStock Formula Center 3.0 via immediate download and if you don’t like the package for any reason, just return it within 60 days and I’ll refund 100% of your purchase price – no questions asked. This gives you plenty of time to review ALL the formulas, ask questions, and even make your first investment before you ever have to decide if this is right for YOU! There is NO RISK whatsoever. What good is MetaStock without a good collection of profit-making formula? MetaStock is driven by its formula and so the MetaStock Formula Center 3.0 really is a fantastic addition to anyone’s MetaStock toolbox. It's easy to get started, just order below and you can have immediate access to my formula collection. From there, you just cut and paste the code as you want. It couldn’t be easier. Yes, Dave! I'm Ready To Download The MetaStock Formula Center 3.0! We use “Clickbank” to process our orders as they are the world’s biggest and arguable the safest on-line banking system. They process most credit cards plus PayPal. ClickBank is an independent payment processor that is not directly associated with our website. This ensures your details are kept 100% private and secure at all times. If you expereince any difficulties ordering via clickbank please click here email us and we can arrange an alternative payment method. I hope you're in a position to take advantage of the fantasic offer. P.S. You’ll never again suffer through the pain and hassle of trying to write your own original formulas. Now, you can get everything all done for you, practically handed to you on a silver platter. You simply cut and paste... and you’re done! P.P.S. When you consider my coaching rate is $220per hour and that it took me over 1657 hours to put this package together, you could say that this package is worth over $364,540... but you won't pay that much. Get it for less than a month's worth of brokerage! I reserve the right to stop selling this package at any time. Due to the fact that the information disclosed on the package is so valuable, this package will not be available forever. I also need to limit the number of copies that are released. The MetaStock Formula Center is a collection of MetaStock formulas, and therefore, no consideration can or is made toward your financial circumstances. All formulas presented within are not to be regarded as investment advice, but for general informational purposes only. Trading does involve risk, so caution must always be utilized. We cannot guarantee profits or freedom from loss. You assume the entire cost and risk of any trading you choose to undertake. You are solely responsible for making your own investment decisions. No formula can guarantee profits. The risk of loss exists in all trading. We recommend consulting with a registered investment advisor, broker-dealer, and/or financial advisor. If you choose to invest with or without seeking advice from such an advisor or entity, then any consequences resulting from your investments are your sole responsibility.